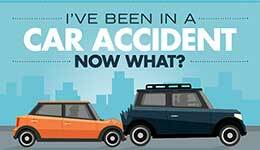 Most people will be involved in at least one car wreck in their lives. Fortunately, although there are millions of car accidents in the United States every year, not all of them result in any serious injury. If you have had a car wreck it is very important to know what to do immediately afterwards otherwise you may find yourself facing huge liability issues. Many people assume that the first thing that they should do is call a personal injury attorney. While it is important to do that there are other things that you must do right after the accident happens. The first is to make sure that you stop. If it is a minor scrape you may be tempted to walk away – after all no one was hurt. This is a crime – the law requires that you stay at the scene and contact the police right away. In addition to that many of the injuries that occur after an accident only manifest after several hours, so you may drive away not knowing whether you have caused someone serious harm. The next thing to do is secure the scene. You should check on the other driver and find out whether or not they are okay. The temptation at this point may be to yell at them and get defensive but this doesn’t solve anything, and it only makes a bad situation worse. Once you find out that they are okay you should call an ambulance – just because you are both standing doesn’t mean that you are injury free. The EMT’s will check you out at the scene to ensure that you don’t have any life threatening injuries. Once they give you the okay it is time to start documenting the accident. The camera on your mobile phone will do. Take as many photos as possible of the parts of the car that are damaged as well as of the scene itself. Do not get upset if the other driver is doing the same – they are only trying to do the right thing. Ask them to give you their insurance information and contact details and hand them yours too. Avoid conversation – you may say something that can later be used against you. By this time the police will most likely have arrived and they will want a report from you. Tell them everything you can remember and do not tell them any lies or assumptions. If your insurance company finds out that your account is doubtable they may refuse to honor your claim. If there are details you do not remember or that are not clear do not hesitate to let the police know – it is understandable after you have been in an accident. The police will ask you questions and your answers will help them open a police report. Get a police report number so that your personal injury attorney can follow up later. If the police ask you whether you are injured you should let them know that you are not sure. As mentioned earlier car accident injuries can take a few hours to manifest, and saying that you are not injured could only cast doubts in case it turns out that you are. It is now time to call your lawyer. He will advise you on what to do next, which will be to call your insurance company right away. Insurance companies like to know immediately after an accident occurs and your attorney will let you what you should say to them. Your personal injury attorney will also advise you not to talk to anyone else, so if anyone approaches you refer them to him. If there were witnesses to the accident make sure to get their names – they may come in handy later. Next is your doctor – he needs to give you a thorough check-up to make sure that you don’t have any internal injuries. Make sure that you keep all the paperwork related to this visit so that you can draft a claim to the insurance company. If there were any other people with you they should get checked too – they are covered under your policy. Hand this paperwork to your personal injury attorney – he will follow up from there.